So metal, so mirrored, it must be Metal Mirror. Optical Clarity: The Voyager gets high marks here. It doesn't have as much haloing as the Slate and I didn't notice any warping. Lens Tints: The Blue Bird Mirror has a visible light transmission of 28% making it a good choice for cloudy days and flat light in general. It has a reddish-purple base tint. 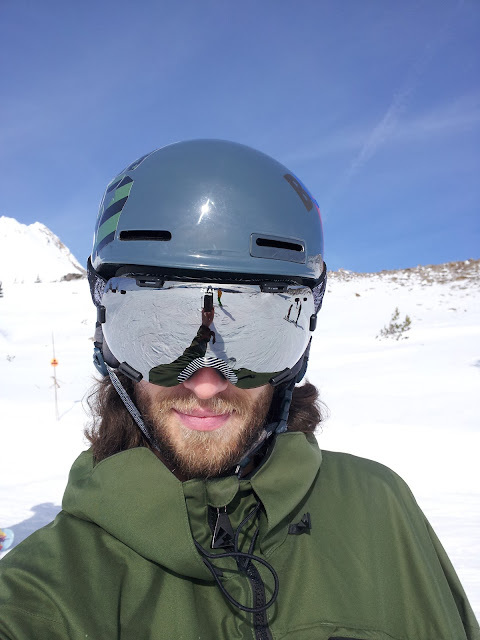 Metal Mirror is darker (not sure on VLT, maybe 15%) and great on sunny days. It has a subtle brown base and high-polish mirror for, well, any time you don't want your eyes to betray you. Finally, all Voyagers come with a Sky Blue Mirror lens that transmits 80% of light for extra stormy days and night riding. It's damn near clear with the slightest smoke tint and mirror. Blue Bird Mirror (on goggle), Sky Blue Mirror (solo). Check Zeal for even more. Lens Changing: Held in place by six tabs and the frame on the nose, the lens is as easy to take out as it is to replace and you know exactly what you're doing. Peripheral Vision: Good horizontally, but not as good vertically. You may feel like a caveman with a giant nose and brow. Fit: Medium to Small. I'd prefer something bigger, but I wear an XL helmet. Comfort: Good. Cushy foam, good ventilation, no face sweating, no fogging. Helmet Compatibility: Great. The strap had room left over even on my XL lid and it has the silicone stripes to keep it in place. 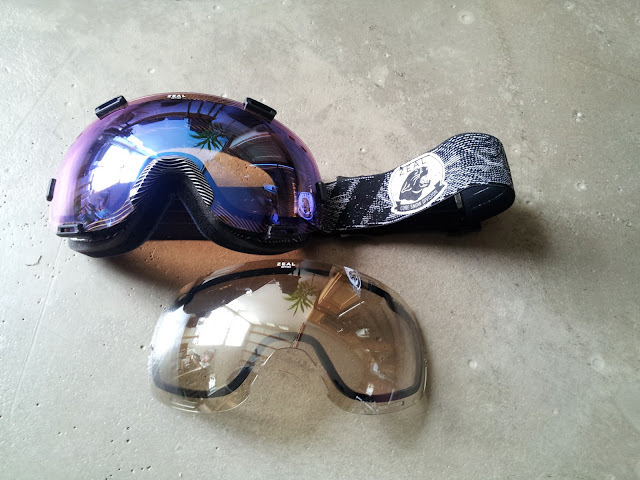 Look: I got the CS (Core Snow) Division Black colorway which has a black and white striped nose frame, black lens tabs and a black and white pattern strap with two old-school panther and spiderweb logo patches. Nothing over-the-top, but I like the classic look. Bottom Line: Better for medium to small face sizes the Voyager boasts quick lens changing and good optics in a range of tints, though peripheral vision could be better. Not that different from my everyday Oakley Crowbars.